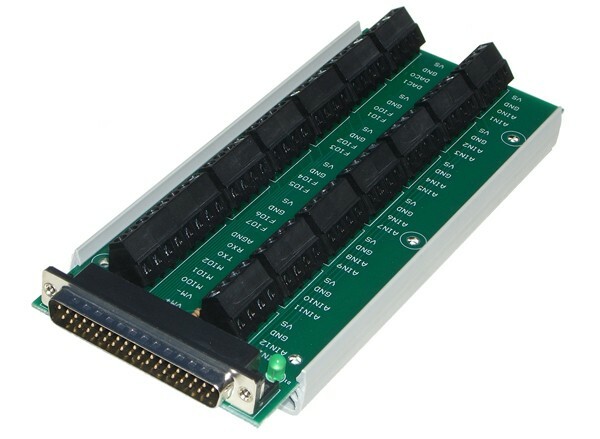 The maximum input range is ±10 volts, with software selectable gains of x1, x10, and x100. Each analog input can be measured single-ended, or differentially in even/odd pairs. Analog input resolution is 16 bits at max speed (~20 μs conversion time), increasing to 18+ bits at slower speeds (see Section 3.1 - Command/Response and Section 3.2 - Stream Mode). Input impedance is at least 1 GΩ, with typical input bias currents of only 20 nA. Command/response (software timed) analog input reads typically take 1-4 ms depending on number of channels and communication configuration. Hardware timed input streaming (supported with hi-speed converter only) has a maximum rate that varies with resolution from 4 ksamples/s at 18 bits to 50 ksamples/s at 16 bits. For more information see the U6 Datasheet. The U6-Pro has all the features of the normal U6 with the addition of an auxiliary low-speed high-resolution (24-bit) sigma-delta ADC. Analog input resolution varies from 19.5 bits (RMS or Effective) at max speed (4 ms conversion time), to 22 bits at slower speeds (160 ms conversion time). For more information about the analog inputs see Section 2.6 - AIN and Appendix A. For data rate information see Section 3.1 - Command/Response and Section 3.2 - Stream Mode. 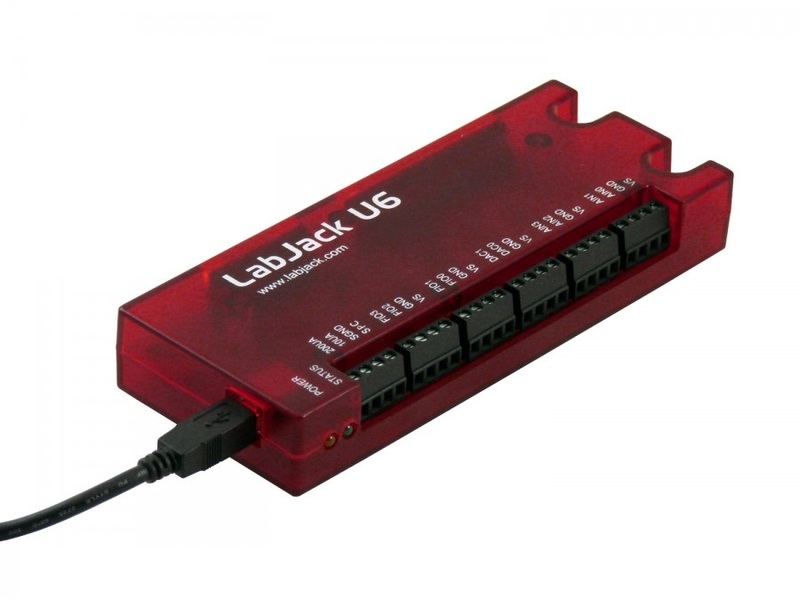 The LabJack U6 has 2 fixed current outputs of 10 μA and 200 μA. These are useful for measuring resistance (resistors, thermistors, RTDs). For more information see the U6 Datasheet. For more information about the analog outputs see Section 2.7 - DAC and Appendix A. For data rate information see Section 3.1 - Command/Response. For more information see the U6 Datasheet. For more information about the digital I/O see Section 2.8 - Digital I/O and Appendix A. For data rate information see Section 3.1 - Command/Response and Section 3.2 - Stream Mode. For more information about the timers see Section 2.9 - Timers/Counters and Appendix A of the U6 Datasheet. For more information about the counters see Section 2.9 - Timers/Counters and Appendix A of the U6 Datasheet. All I/O lines on the U6 are protected against minor overvoltages. The AIN lines can withstand continuous overvoltage of ±20 volts, the FIO lines can withstand up to ±10 volts, while the EIO/CIO/MIO lines can withstand up to ±6 volts. For more technical specifications look at the U6's datasheet. Low-Speed and High-Resolution (24-bit) sigma-delta ADC giving access to resolution indices 9 through 12. The U6 and U6-Pro come in standard and OEM versions. The OEM versions are intended to be embedded in another device. They are missing the enclosure and most connectors, as it is easier to install connectors than it is to remove them. LabJack can customize the boards to add or remove hardware before shipping for an additional fee. More information on OEM versions can be found in the OEM versions section of the U6 datasheet. The CB37 (Rev. 2.1) is a simple screw terminal breakout for the DB37 connector. 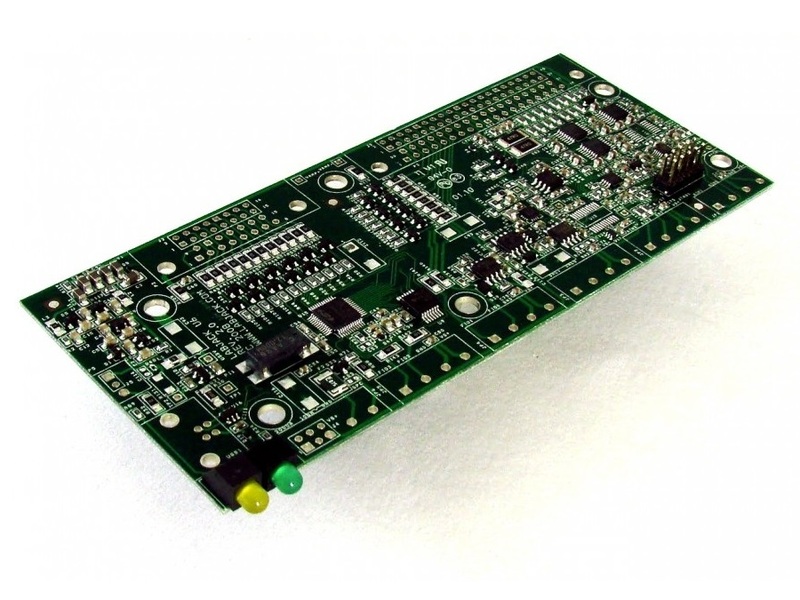 The LJTick-DAC (LJTDAC) provides a pair of 14-bit analog outputs with a range of ±10 volts. 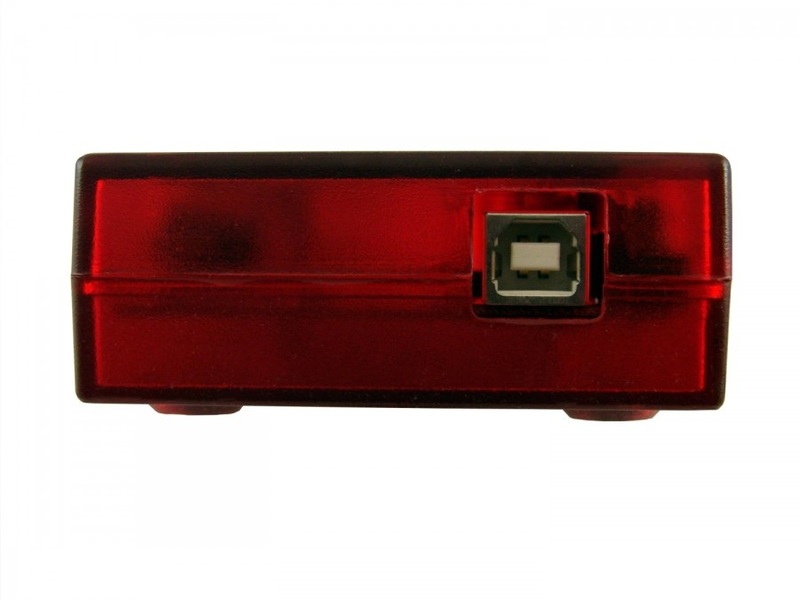 Plugs into any digital I/O block, and thus up to 10 of these can be used per device to add 20 analog outputs. 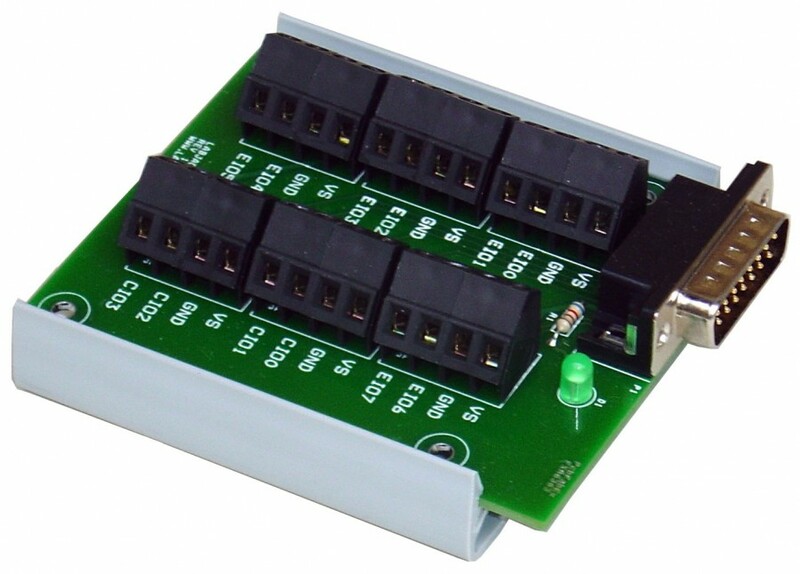 The LJTick-RelayDriver (LJTRD) allows 2 digital I/O lines to each control a relay or other moderate load up to 50V/200mA. The LJTick-Proto (LJTP) consists of an 8x8 grid of holes for prototyping custom signal-conditioning modules. Everything we sell has a 30-day money back guarantee. If, for any reason, you are not satisfied with a product, contact us to arrange your choice of a refund or replacement. In addition, the LabJack U6 is covered by a 1-year limited warranty. LabJack provides drivers for the three major operating systems, and examples for most common programming languages. For more information see the U6 software options page. Be sure to keep an eye on the U6 Firmware page for the latest U6 firmware. Retail packing (Package) size: 10" x 3.5" x 3"
1. Download and install the U6's installation package. 2. Connect the U6 to the computer via USB.The U6's status LED should blink at power up and then stay solid on. If Windows asks about installing new hardware accept the defaults. 3. 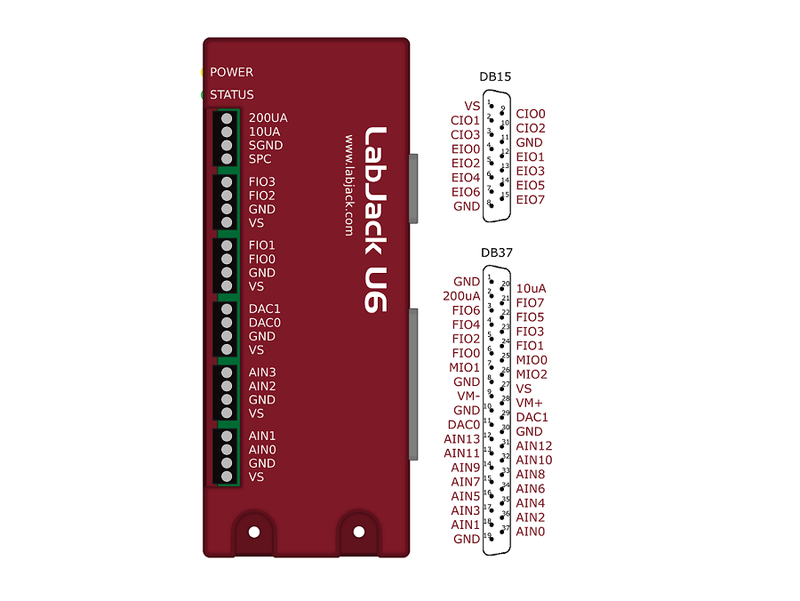 LJControlPanel is a free application installed by the U6's installation package. You should be able to find it in the Start Menu links. 4. See the U6's Quickstart page for more detailed instructions. Windows-only: the C/C++ UD library or any UD language wrapper. Cross-platform: the Python LabJackPython library. For the full list, see this list of U6 software options.